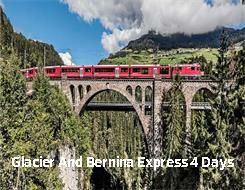 On the Glacier and Bernina Express you will travel across impressive viaducts, through winding and helical tunnels on a journey offering views of mountain lakes, steep cliffs and pristine forests. 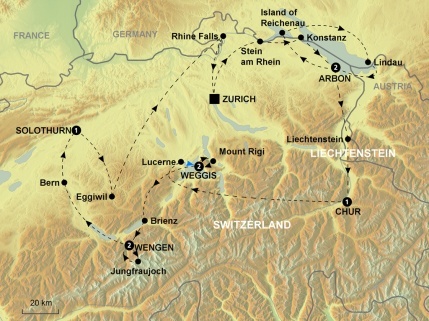 Individual travel to Zermatt. Zermatt lies at the foot of the Mat terhorn and is a car-free resort. Overnight in Zermatt.